This is my third or fourth time at Echo Base live, and this show seemed much bigger than the previous ones, both in terms of attendees and traders. 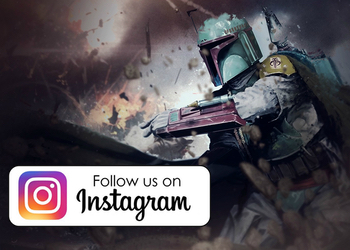 A great mix of vintage collectibles from all eras of the saga (and prices to suit all pockets), through to the very latest Black Series and Vintage Collection figures. 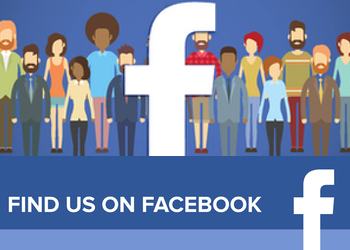 Of course, as well as providing a platform for collectors to meet and trade, Echo Live also raises a lot of money for various charities, with this year’s chosen beneficiary being BEAT, the UK’s eating disorder charity. 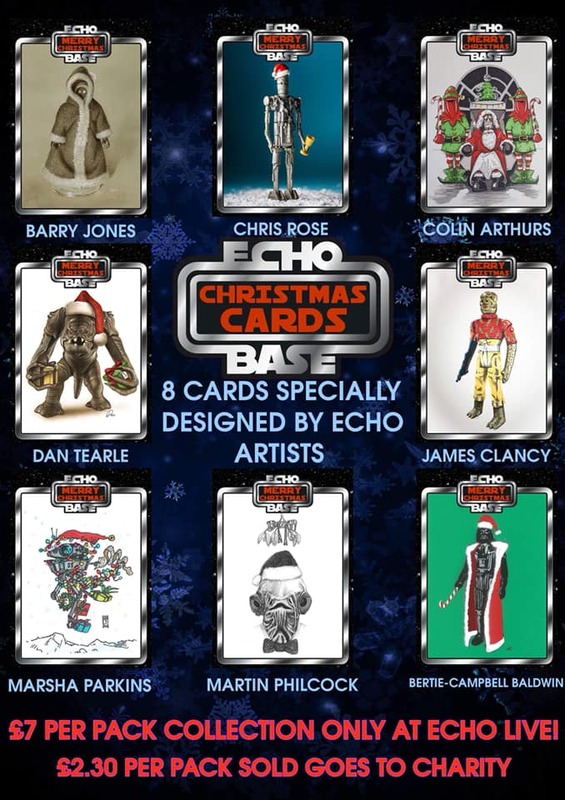 My first stop was to the shows own merch table pick up some Christmas cards which had been designed by artists from the ranks of the Echo Base collecting forum membership. 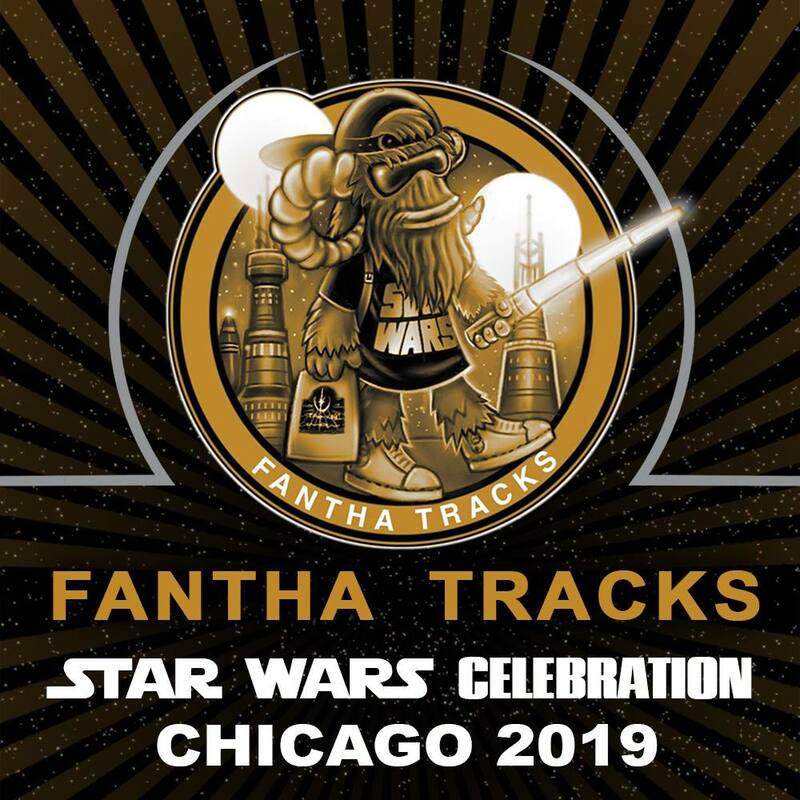 After a quick browse around to check out the traders and artists in attendance, I made my way to meet Paul and Clair and we duly set about grabbing some time with the Star Wars guests and our friends from the collecting and wider fan community. 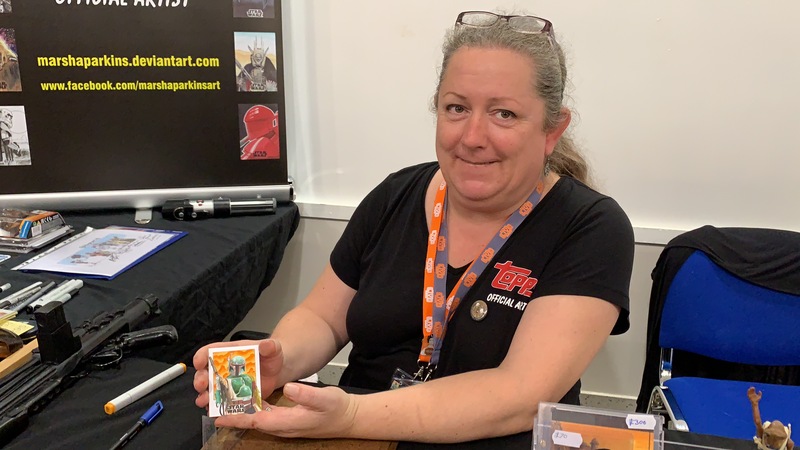 As you’ll know from our London Film & Comic Con coverage, Official Topps artist Marsha Parkins was part of the Fantha Tracks Star Wars fanzone, and she was also in attendance at Echo Live so we were able to spend some time catching up with her, and watching her complete a truly awesome Boba Fett card right before our eyes. 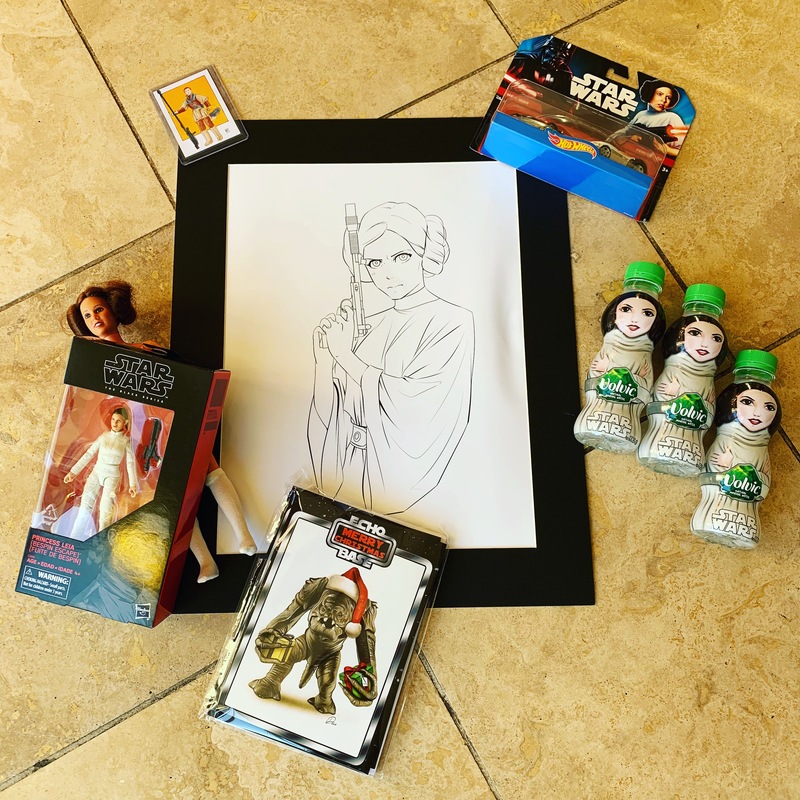 Along the way we seemed to pick up a bit of additional ‘baggage’ – with Paul picking up a few 6″ Black Series figures for his collection, and Clair ‘saving’ a vintage Leia 12″ doll whose lack of clothing would make the bikini clad Leia from Jabba’s Palace blush. On to the charity raffle, with some stunning prizes donated by traders, forum members and friends of the Echo Live team. A stunning Leia painting, LEGO TIE fighters & Solo Falcon, a Black Series Vader helmet, as well as several vintage figures ‘mint on card’ were among the prizes on offer and for the second event running I did ‘rather well’ – winning a retro style messenger bag stuffed with goodies including DVDs, a mug, a Top Trumps game, a Yoda money box and a Baby Oleg BB-8 – a collectible from a UK insurance website who also offer 2-for-1 movie tickets to their customers. I also snagged a custom art card from our friend Marsha Parkins, so a very happy chap to say the least! 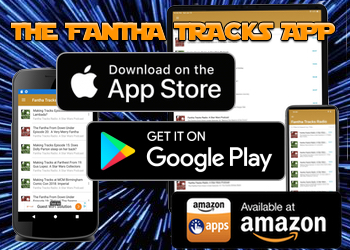 This show has something for all ages and budgets, and demonstrates that collecting, be it vintage, modern, art or autographs is a great part of the fan community and is a great way for fans to help give something back whilst celebrating their love of Star Wars. 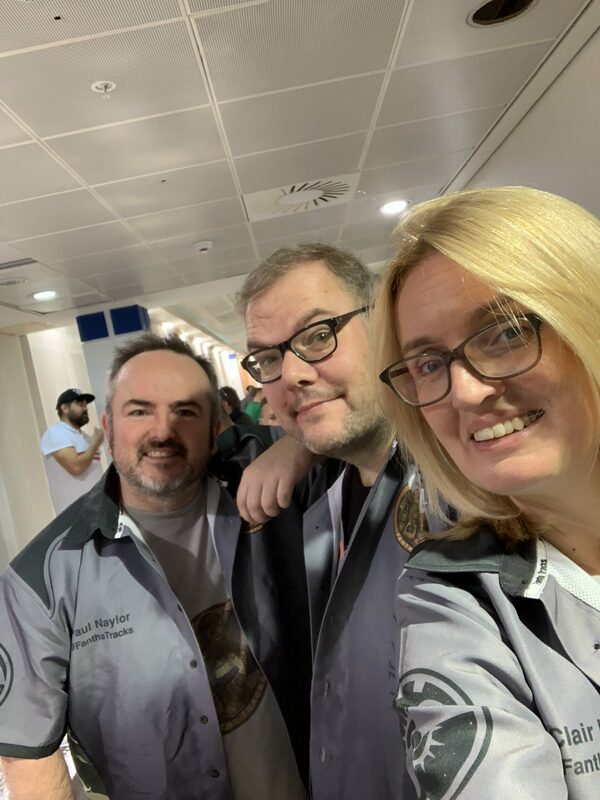 Another Echo Base Live has come and gone – and – as usual – what a great event. 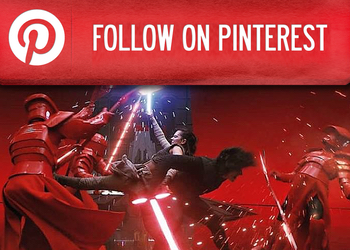 The Kingfisher shopping centre hosted its second such Star Wars fest of 2018. 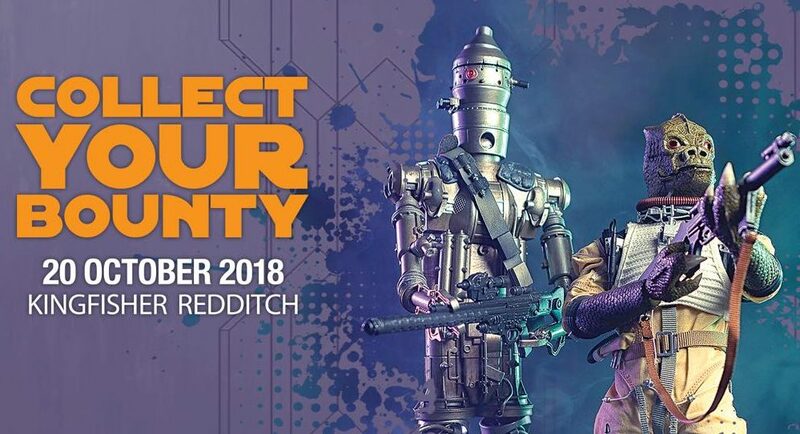 A must for collectors of all things from a galaxy far, far away, Echo Base Live brings together traders of new and used merchandise, bespoke collectables and a selection of folk attached to the movies too. 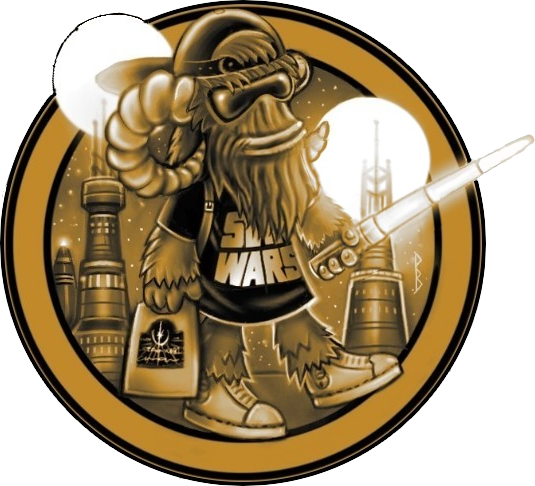 Collectors’ favourites In Demand Toys and Dark Side Toys were present, selling the latest Black Series and Vintage lines, with many more stallholders offering loose and carded figures from 1978 and beyond. 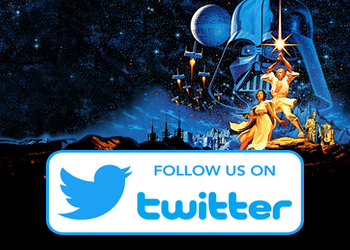 Want a placemat from 1980 or a read-along book with 7-inch vinyl record? 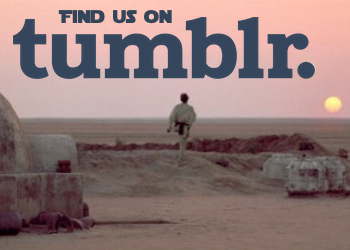 This is the place to buy such hard to find merchandise. 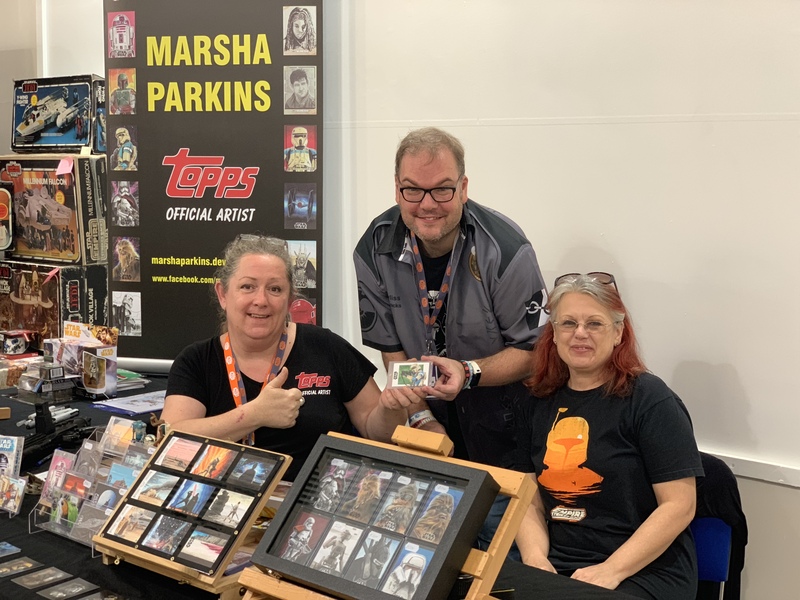 Marsha Parkins, official Topps artist, was on-site creating bespoke trading cards. She was among a smattering of artists who had some fabulous unique artwork for sale. We found some fab stuff ourselves, with Clair ‘rescuing’ a late 1970s 12 inch Leia. Her hair may have been in buns, but this poor thing wore nothing but her boots. Naughty princess. 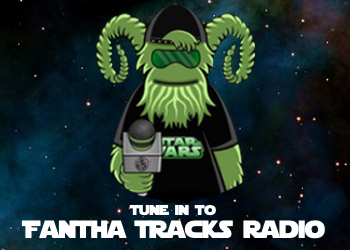 Carl meanwhile did rather well on the charity raffle, walking away with a sack filled with Star Wars goodies. Both Carl and I also are now proud owners of Stormtrooper drinks decanters. I also spent out on 6 inch Black Series, including Leia Bespin Escape, Han in Bespin gear and a lovely 4-LOM. 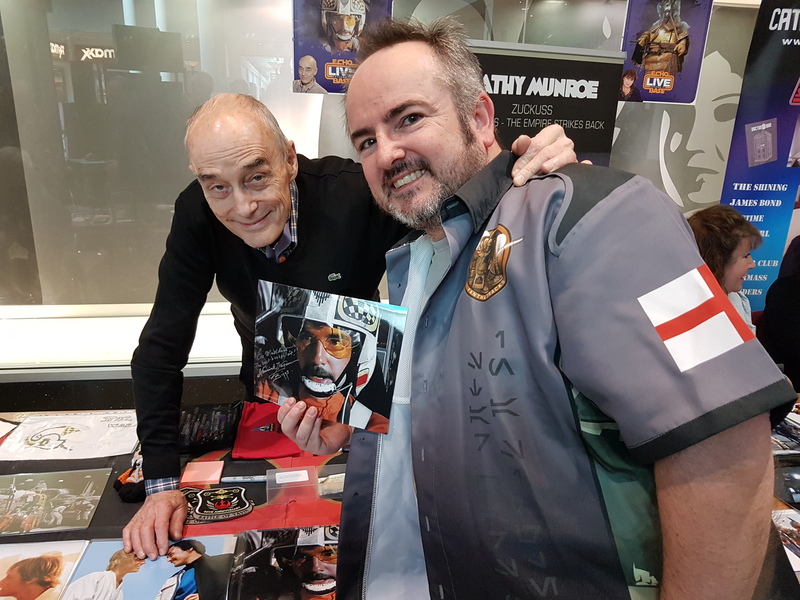 I managed to grab a couple of minutes with Biggs actor Garrick Hagon. A lovely chap, the interview will be posted on Fantha Tracks soon. Joining Garrick to sign autographs were Chris Bunn, Mike Edmonds, Cathy Munroe and Bill Hargreaves. 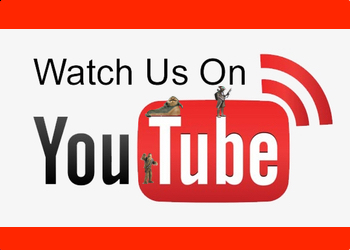 Keep an eye out for the next Echo Base Live. It really is a must for collectors young and old. The range of items on sale was incredible from amazing artwork from Marsha and the Yorkshire Manga artist to the vintage items including an R2-D2 smokers set, something I feel Disney would not approve of today. Leia on Saturday was certainly not the self-rescuing Princess she usually is, so that was left to me to take her naked with only socks and boots on and bring her home to make an outfit! It was lovely to catch up with good friends and as always make new ones. I will certainly be back to Echo Base and I will endeavour to stick to my budget although I feel this may be difficult!